Giveaways, you say? Yes! There will be a few things up for grabs including t-shirts, codes for Total War: WARHAMMER II and its DLCs, codes for Curse of the Vampire Coast, a Serpent God Collector’s Edition and a super grand prize code for the complete Total War Collection. Bringing you live commentary, analysis, and world-class banter throughout the event will be the mighty Turin, Italian Spartacus, Janet On Occasion, and Creative Assembly’s very own Dogbert. Turin One of the most prolific and informed commentators of the Total War series, Turin is master and commander of a Total War: WARHAMMER and real-time strategy channel on YouTube, delivering a heavy focus on competitive multiplayer, tournament breakdowns, and game analysis. Italian Spartacus From WARHAMMER and WARHAMMER 40,000 lore videos to Total War campaign and competitive matches, Italian Spartacus covers the many facets of these overlapping worlds with encyclopedic knowledge and a terrifying Gollum impression. Janet On Occasion Janet On Occasion, rather misleadingly, is a full-time man. A man who plays Total War: WARHAMMER on YouTube. Expect multiplayer battles with his trademark Queen’s English accent as well as dual tactical and cinematic viewpoints driven by a love of the WARHAMMER fantasy setting. Dogbert Hosting the event and helping with commentary will be Creative Assembly’s very own James “Dogbert” Given, a former pro gamer himself and veteran of Total War livestreams. Working closely with our commentators Turin and Italian Spartacus, we invited eight top players to take part based on their skill, reputation, and flair. 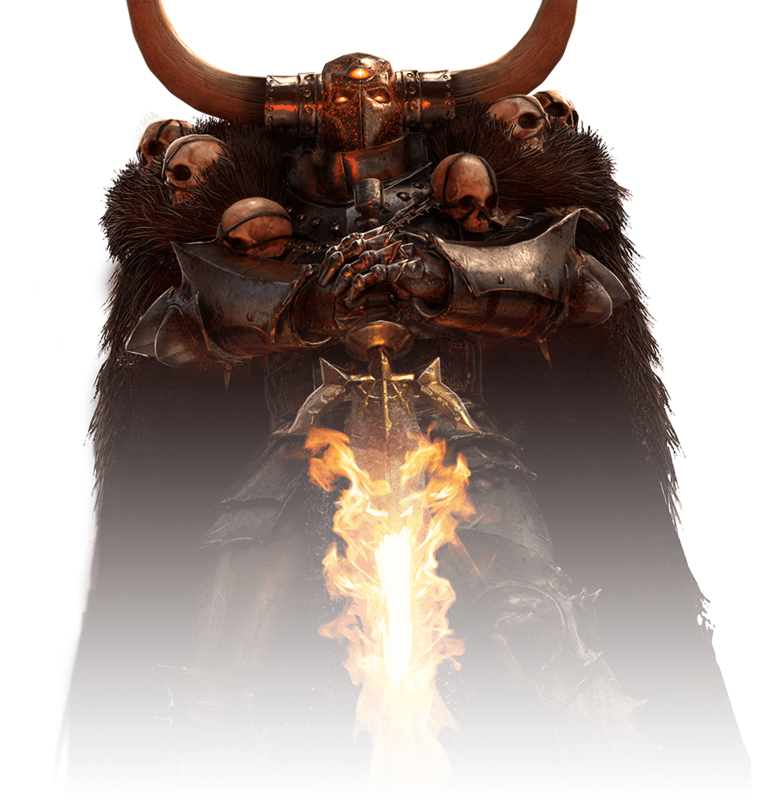 Check out their player profiles here to learn what each competitor will be bringing to the Everchosen Halloween Invitational. Make sure to follow the official Total War Twitter account for all the latest updates about the Everchosen Halloween Invitational before, during, and after the event!